The CEATEC Innovation Awards are held every year and the event is considered one of the biggest showcases of the possibilities for consumer technology on the planet. Every year, the event has a panel of IT and consumer electronics journalists who consider each tech being presented and choose one to be the year's winner in several categories, with a grand prize winner taking the Grand Prix award. Rarely is that award given to something in automotive. 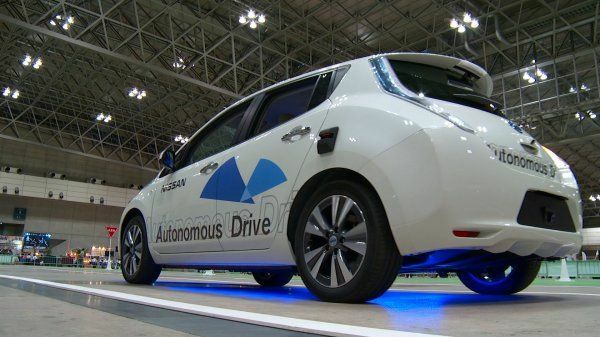 This year, however, Nissan took their entry from last year, autonomous parking, and upped the ante by bringing their fully autonomous vehicle, the Nissan LEAF Autonomous Drive demonstrator, to the competition. The car wowed journalists and stunned the panel with its capabilities and the company's projection to put it on the road in just a handful of years. The judgement criteria at CEATEC is to score entries based on their expected impact on the U.S. market, their ability to meet a new customer need, their functionality, and the amount of innovation in the technology. The technology must also be fully functional. Not only is this Nissan's first Grand Prix award at CEATEC, it's the first time an automaker has ever won the accolade as well. The Autonomous Drive technology also took the Smart Mobility, Special Award. “Nissan's Autonomous Drive technology will greatly benefit future society by reducing traffic accidents and fatalities, preventing traffic congestion and contributing to a reduction in environmental issues through improved fuel economy," said the judges panel in a special citation to the Grand Prix award. Nissan's Autonomous Drive technology is an extension of its Safety Shield, which monitors a 360-degree view around a vehicle for risks, offers warnings to the driver and takes action if necessary. It is based on the philosophy that everything required should be on board the vehicle, rather than relying on detailed external data.